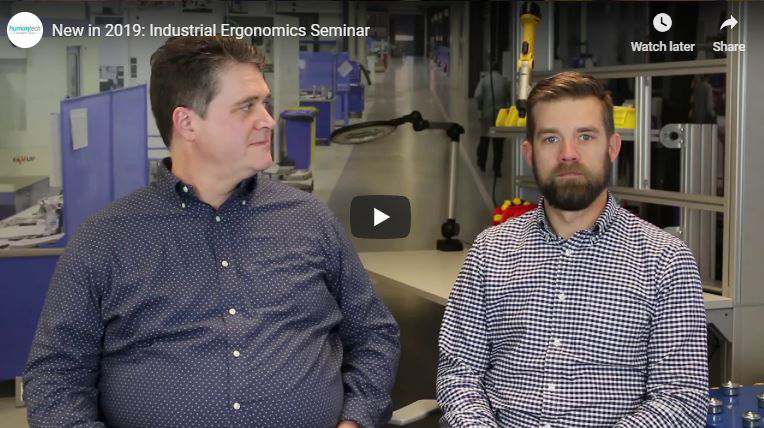 The Industrial Ergonomics Seminar was developed from nearly 40 years of experience helping Fortune 1000 companies implement and sustain a world-class ergonomics process. Benefit from the same ergonomics training materials and experienced trainers that our clients have learned to trust. New this year: Choose the track that’s right for you! For questions, email Jennifer or call 734.663.3330 ext. 132. Join our mailing list to be notified of future seminars.